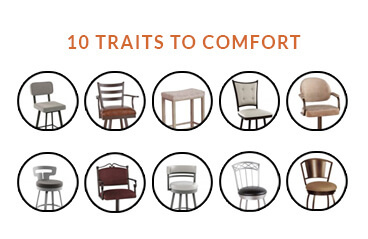 Editors Note: This post was updated on 3/20/2017 to include examples on each of the traits. 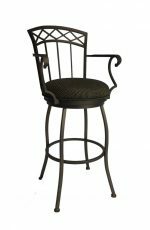 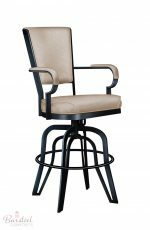 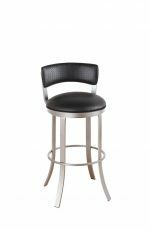 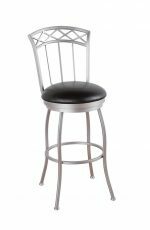 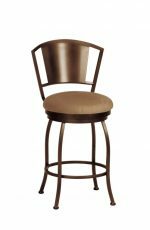 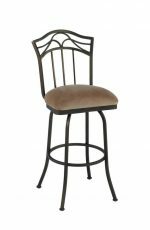 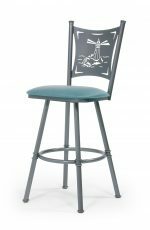 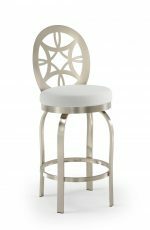 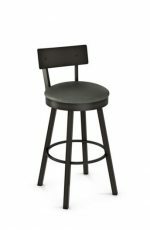 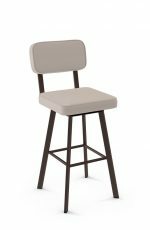 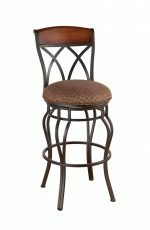 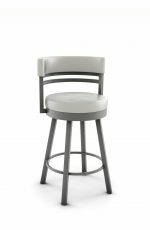 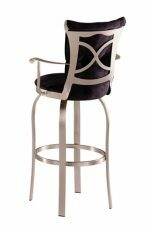 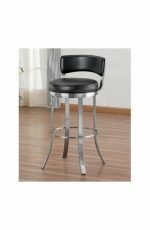 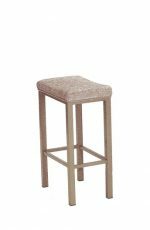 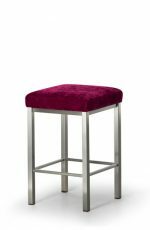 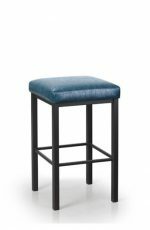 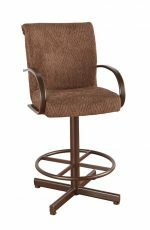 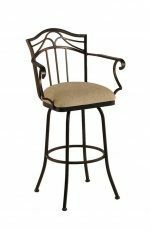 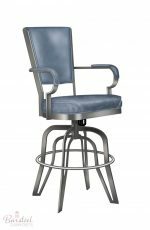 When shopping for a bar stool, things like price, availability, and style affect your overall decision. 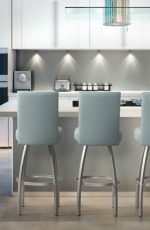 What about comfort? 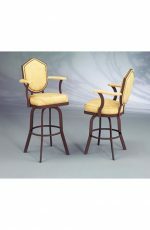 From sipping morning coffee to entertaining guests, comfort should be a must! 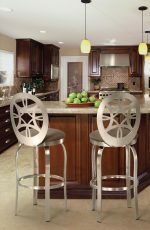 Stools with backs are usually your most comfortable because they give support on the back if you’re spending a lot of time on them. 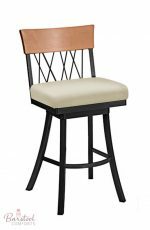 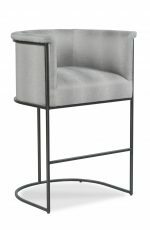 If you’re socializing for an hour or more at the bar or counter, a stool with a back will be much more comfortable. 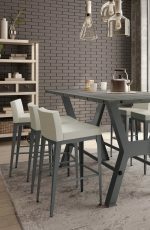 However, if it’s simply a place to sit to have a cup of coffee or just to sit for a short time, backless stools work fine. 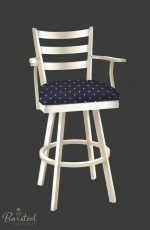 Padded seats — as opposed to wood seats — are an excellent choice for comfort and are softer to sit on, but even wood seats can be upgraded to better comfort with tie-on seat pads, which can be removed for washing. 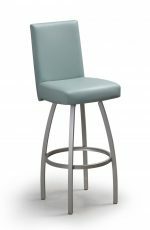 Deep seats are wider from front to back and are ideal for taller people because they support the legs better without cutting into the thigh as a shallower seat would. 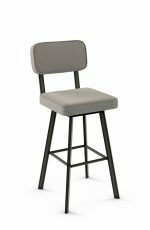 Shallow seats, which are shorter from front to back, are good for people who are shorter because the legs tend to be shorter and are supported better. 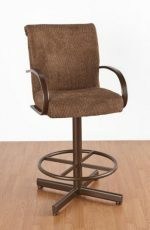 If the seats are too deep, a person can not touch the footrest with their feet. 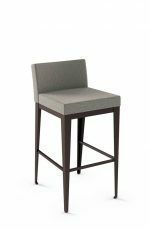 Legs that are dangling put more pressure on the thigh, taking away from comfort. 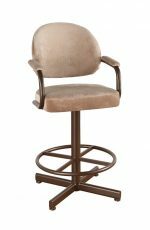 Wide stools with deep seats are very comfortable for tall or larger people, but we find that they are comfortable to most and give a roomier and relaxed feeling if you have the room because they tend to be larger than most stools. 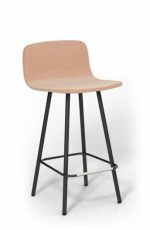 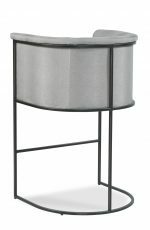 A stool with a curve or rounded shape to the back is usually more comfortable than a flat back and will support the back a little better. 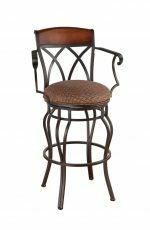 Although, there is no definite rule to this theory because everyone has a unique body structure and may feel more comfortable in a flat back. 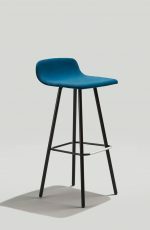 A stool with about an 8 inch high back can be very comfortable if it has a rounded back and will “hug” the lower back. 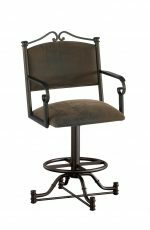 However, it does not support the upper back and may not be suitable for those who have upper back problems. When sitting at the counter for an extended length of time, a full size back on the stool will give you fuller support. 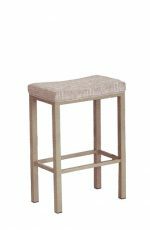 Shop all stools with short backs. 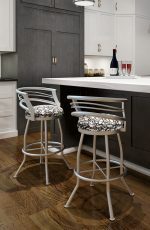 Stools with padded backs are a nice touch, which can be more comfortable as opposed to a metal back. 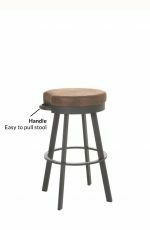 Some people don’t like the feeling of cold steel on the back, but we found that most of the time it’s not an issue because the comfort of the stool makes up for that. 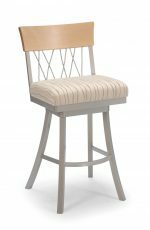 However, plush upholstered backs and seats are sometimes the choice in a particular style and design which evoke a softer feel. 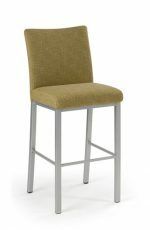 Backless stools are more comfortable when they have padded seats. 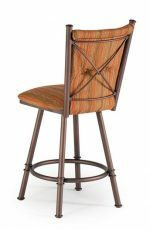 The seat shouldn’t be too small, and it should be able to accommodate the buttocks without feeling like you’re falling off. 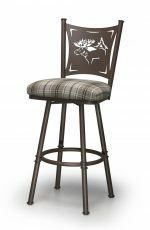 Saddle stools are wide, but narrow, and are very comfortable. 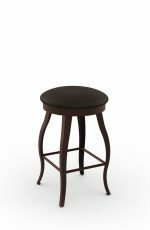 They are also great for tucking under an island. 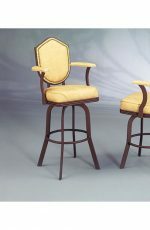 Saddle stools have indented seats like a saddle, but do not swivel. 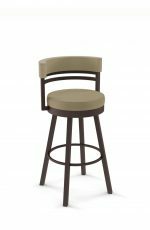 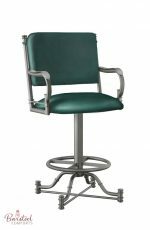 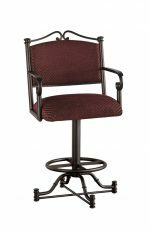 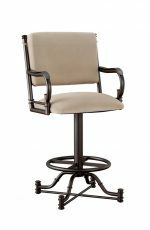 However, a larger round backless stool gives you more surface area than a saddle stool. 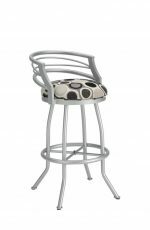 Stools with arms make the stool more comfortable and give a place for the arms to rest. 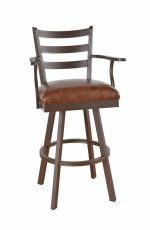 You can sit back and relax when entertaining with friends or family. 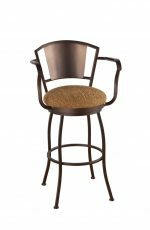 Arms do make the stool wider and are only recommended if you have the room, so please measure your area to be sure they’ll fit. 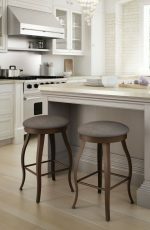 Stools without arms can be comfortable too when resting your arms on the counter. 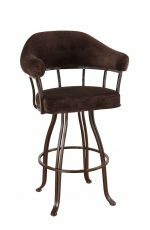 Shop all stools with arms.